Most people know that mold can be killed with bleach. But bleach treatments can expose you to toxic fumes. And even after a risky bleaching procedure, mold can return if conditions are favorable. 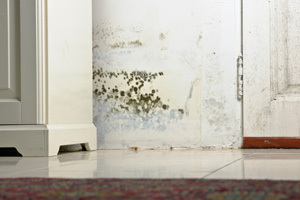 Isn’t there a better way to banish mold from you house? Yes, there is! Redeemers Group of Memphis, Tennessee can provide homeowners with a safe, versatile treatment that’s proven to repel mold. Our exclusive selection of Microbloc® sealers and protectants are formulated to limit water penetration and create mold-hostile conditions on all treated surfaces. By combining Microbloc® treatment with strategies to control moisture, our technicians can protect your home or commercial building from a damaging mold invasion. Redeemers Group offers Free Estimates on environmentally-safe Green Chemistry products and mold prevention services in Little Rock, Memphis, Southaven and surrounding Tennessee, Mississippi and Arkansas areas. Safe & sure. 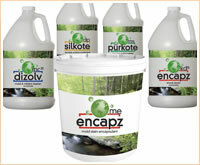 Registered with the EPA, Microbloc products are used in many different applications to solve mold problems. Microbloc® is a safe disinfectant solution registered with the Environmental Protection Agency. It’s been used in numerous residential and commercial applications to prevent mold growth. Microbloc can be used to treat organic materials (wood, paper, fabric, etc.) in new construction. It can also be part of a mold prevention treatment when existing building materials have been exposed to water or high moisture conditions. If you have a concern about existing mold or a future mold problem, Microbloc® green chemistry products will put your mind at ease. Microbloc® coatings applied by Redeemers Group come with a Lifetime Performance Guarantee. Microbloc Green Performance Chemistry Store.